Call management software is also known as call center management software. It helps call centers to manage their database, caller’s queries, and requests. 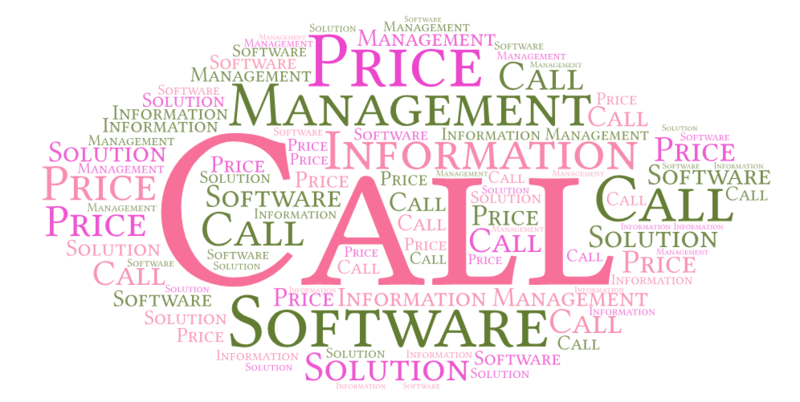 Call management software is also used to promote specific products or services. Call management software provides various services to call centers like inbound and outbound call management, email and text message management and web sharing. In this article, we are going to discuss on call management software, its price and everything you need to know. These days Call management software utilizes the cloud to store the data of customers and agent. Therefore it does not require any bulky and costly hardware deployment. Advanced call management software is mobile friendly and can be operated during natural disasters. You do not need to spend much in the maintenance cost of cloud-based call management software. There are numerous call management software providers today. Hence the price varies from company to company. But it is cheaper than traditional telephone management systems in long run. Call management software requires no extra hardware installation. So you can easily deploy it in any place you want. Unlike on-premise based telephone setup, it does not need any maintenance cost which helps small businesses to save their money. Traditional phone lines or on-premise based call management system requires a discrete hardware or software system. But cloud-based call management software system works with a bundle of features that ensures the security of your contact center. All the data from your agents and customers are stored in the cloud. And you can access it anytime. In call center business clients stay on the highest priority on the rundown. Thus it is imperative for a contact center to ensure that the client-agent relationship goes well. Call management software enables you to improve the association with your callers. Call management software like predictive dialer, voice broadcasting software, Interactive voice response and call tracking software helps call centers to manage their callers effectively. If you want to set up a contact center, you must integrate your management system with various applications. Cloud-based call management software is robust and mobile friendly. It integrates your system with various mobile applications. This makes you reach your customers more effectively than traditional call management systems. For small businesses, it is important to invest less and earn more. If you want to start up a call center, call management software can help you reduce your costs. Call management software is mobile friendly and integrates with various applications. It allows you to manage your customers from any geographical location across the globe. With call management software you can easily hire employees from different countries and manage them remotely. Cloud-based call management software is more secure than traditional call center software. It keeps your data in the cloud which protects you from illegal cyber attacks. In case any natural disaster occurs; you do not need to worry about your cloud-based call center software. You can easily recover your data and operate remotely from any geographical location if any damage occurs to your office. Brand equity is a thing that totally depends upon how consumers think about your offerings. If you offer good products or services, nobody can stop you from leading the market. Call management software can make a favorable environment to let you provide the best solutions to your customers. You can easily establish yourself as a reliable brand with call management software. In this era of digital revolution, you can find thousands of call center software providers in your country or outside. But you need to go for a seasoned call center management software provider. Sip2dial is one of the leading cloud contact center software providers across the globe. It helps contact centers of every size create powerful customer connections. Our call center support software creates more successful customer interactions by increasing the productivity of your contact center.